MOSCOW (AP) — A Ukrainian presidential candidate has traveled to Moscow to meet with the Russian prime minister to discuss gas supplies. Yuri Boyko, a rare openly pro-Russian candidate, trails far behind a comedian, a former premier and the incumbent president in opinion polls ahead of Ukraine’s presidential election on March 31. Boyko spoke with Russian Prime Minister Dmitry Medvedev on Friday in the meeting that was televised live on Ukrainian television. Boyko said he would like Ukraine to resume gas purchases from Russia, which should lower the skyrocketing utility bills for Ukrainians. 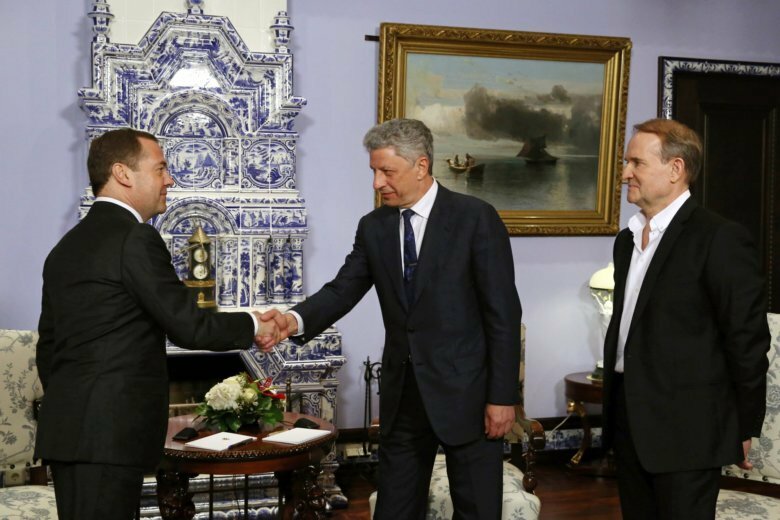 The very visit is rare for Ukrainian politicians these days, since any connections to Russia are largely regarded as toxic because of Russia’s annexation of the Crimean peninsula in 2014 and its ongoing support for separatists in the deadly conflict in Ukraine’s east.